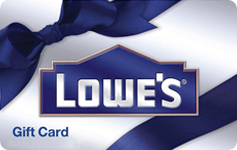 Lowe's is back with 7% plus cash back for the month of December while supplies last! Buy Dad a new "toy," decorate your home, or splurge for that new appliance and earn some extra cash for yourself. Gap is offering 10% plus cash back for the month of December while supplies last! Dress your family in their holiday best and keep them warm with hats, coats, and gloves while adding extra cash to your wallet. While you are doing all of that shopping, don't forget to grab a bite to eat from O'Charley's and stuff 16% plus cash back into your wallet! Offer is available while supplies last in December. Earn more than 16% Cash Back from O'Charley’s! This holiday season, enjoy 16%+ cash back when dining at O'Charley's. Pay for lunch, dinner, or your holiday party and earn cash for your own stocking. And remember, this 16%+ cash back is in addition to your credit card rewards. Offer is valid 11/15 - 12/31 or while supplies last. Using your ShoppingBoss account, order an O’Charley’s digital gift card for the exact amount of your purchase price right at the table (don't forget to include the tip! ), then use it to pay. It's instant! And, so is your 16%+ cash back! O'Charley's digital gift cards also make great gifts for students, teachers, moms, dads.... just about anyone you want to gift. They're fast and easy to give via email, text, or print and you will be earning 16%+ instant cash on every purchase! *Gift cards cannot be used to purchase other gift cards per the merchant's terms and conditions. We are happy to help with any questions you may have. The fastest way to reach us is via email at support@shoppingboss.com as we monitor this 24/7. We can also be reached at 844-818-9912 M-F, 9 a.m. - 4 p.m. EST. Be sure to follow us on Facebook and Twitter for deals! As a thank you to Veterans, the following restaurants are offering specials for Veterans on Sunday, 11/11/18. Offers may vary by location so be sure to check with your local restaurant. Don’t forget to pay with a digital gift card from your ShoppingBoss account to earn cash back on your meal. Bakers Square: Free Veterans Day Breakfast Sunday plus get a 20 percent off coupon for a future visit. Bertucci's: Free small cheese pizza Sunday and Monday. BJ’s Restaurant & Brewhouse: Free meal up to $12.95 and free Dr. Pepper beverage Sunday. Also in November, military personnel can also reserve a Pizookie through the Buy a Hero a Pizookie Program. California Pizza Kitchen: Free meal from special menu Sunday. Get a buy-one-get-one free card to use Nov. 12-18. O’Charley’s: Free meal from special menu Sunday and Monday. Outback Steakhouse: Free Bloomin' Onion and non-alcoholic beverage Sunday, plus 10 percent off everyday. Yard House: Free appetizer Sunday. Eatin' Good in the Neighborhood with Triple Rewards! Earn 16%+ cash rewards at Applebee’s while supplies last in November! 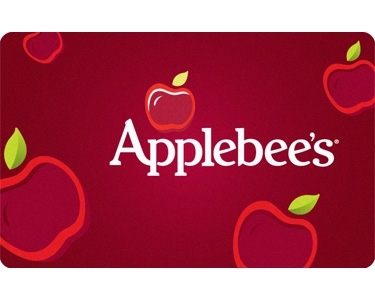 Yes, you heard right…..Make your next meal out at Applebee’s and earn 16%+ cash rewards when using ShoppingBoss to pay. Percentages shown in your account reflect the triple cash back. And remember, this 16%+ cash rewards is in addition to your credit card rewards. It pays to eat at Applebee’s! Applebee's digital gift cards make great gifts for students, teachers, mom's, dad's.... just about anyone you need a gift for. They are fast and easy to give as they can be emailed or sent via text. Send it via email right from checkout by entering the recipient's email, or email it to yourself to forward with a personal message. Text the gift card to your recipient by using your phone's text features. If you would like to give a physical copy of the gift card, you can print it using your browser print functions. It's easy and fast to give a gift with ShoppingBoss and you will earn cash back too!